Do you know what goes on in your elderly parent’s home? Learn how camera systems can help and which ones are worth buying. 2018 has allowed for quite a bit of tech to enter our lives. While not all tech is good, there are some amazing benefits to living with safety measures for the important people around us. Do you have a parent or loved one who is living with a caregiver? While trust is an important word, peace of mind is an important reason to be vigilant. Finding the right form of supervised home care can make all the difference. When installing home care cameras, aides must be notified about the supervised access. Cameras are not intended to spy on a caregiver. Instead, they’re another way to remain nearby without actually being within the home. In a shared mindset, there’s a level of supervision that’s comfortable and safe. Camera systems started off slowly and now dash cams and nanny cams are ever popular ways to keep loved ones safe. 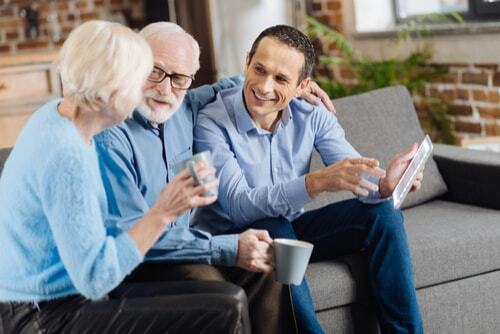 Here’s a little bit about some of the most popular home cameras and which ones you should consider installing for senior care safety that you have direct access to. Read more about what you should know before setting up a camera system. Best Buy has launched an app that helps families detect movement, smoke or other dangers ahead of time for proactive safety for seniors living at home. It’s another way in which supervised home care involves accurate detection of dangers from a distance. Best Buy’s Assured Living initiative is one way to remain in control from afar. 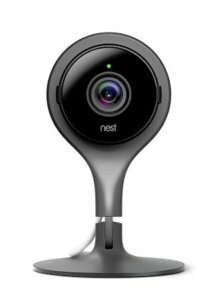 Nest has released many models of indoor camera systems which are cloud-based and secure. Clearly monitor any indoor activity from your phone or laptop by installing the smart cameras at home. Nest Cam allows video footage to be seen live and reviewed later. The camera may be purchased in multi-unit packs to place a monitor in each room for better visibility all day long. When internet access is disconnected, Nest will notify you via alerts. Nest has options for Nest Cam IQ with a built-in Google Assistant control and also offers a great 2-way audio feature for emergency situations. 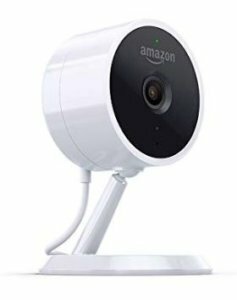 Amazon Cloud Cam for compatibility. At Just $119.99, Amazon’s camera system is home friendly and budget-friendly, while ensuring senior care safety. With live feed and motion certifications, you also get free 24-hour clip storage for safety at a value rate. This option is only viable if you are an Amazon cloud subscriber and if you’d like continuous recording then opt for a different model security cam. 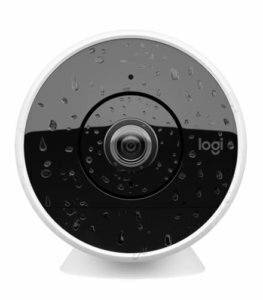 Logitech Logi Circle for easy installation. Installing in just minutes, this is relatively simple to use and has a great track record with intelligent sensor alerts. With fewer spam notifications and great stream visibility, the Logitech camera has a built-in battery and an extra wide lens. Installing a camera system is just the first step toward the safety of your loved one. Remember to visit often and monitor the cameras for any signs of injury, depression or neglect. Ask questions and be focused on the people you care about. Remember that home care cameras require maintenance and actual readings to be of help. No camera system can ever replace a human side, but it can help you keep tabs while you’re away. If you have any questions or concerns about this subject, contact us today! We’re here to help!